Municipal Solid Waste (MSW) consists of approximately 40% of paper waste, making it the top material that we throw away. Although paper waste is biodegradable, its recycling adds more advantage to the municipal solid waste management system. Paper recycling is a simple process which leads to the recovery of waste paper from MSW and converting it into new paper products. Pre-consumer waste is a material which is not generated in a paper mill. It is a kind of discarded waste before it is ready for consumer use. Post-consumer waste is waste material generated which is discarded after consumer use, such as old corrugated containers (OCC), old magazines, old newspapers (ONP) etc. Paper products which can be recycled are; Newspaper, Shredded paper, Phonebooks, Cardboard, Magazines, Computer paper, Envelopes, Junk mail, Construction paper etc. 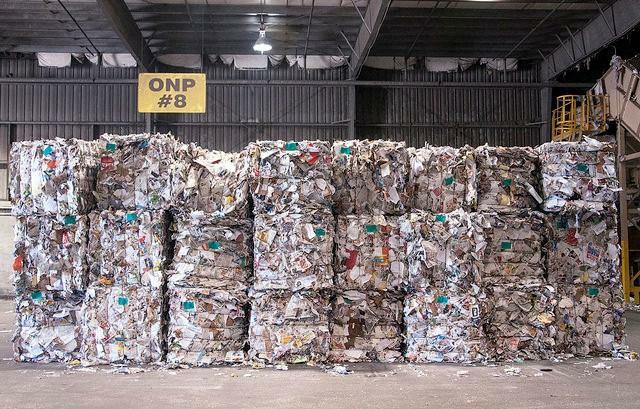 Through recycling of cardboard and other paper products, millions of new paper products are produced such as Egg cartons, Tissue, Toilet paper, Newspaper, Paper bags, Notebooks, Stamps, Business cards, Calendars. There are a few limitations to paper recycling as well. Along with fibers, paper can contain a variety of inorganic and organic constituents, including up to 10,000 different chemicals, which can potentially contaminate the newly manufactured paper products. As an example, bisphenol A (a chemical commonly found in the thermal paper) has been verified as a contaminant in a variety of paper products resulting from paper recycling. Although several measures might reduce the chemical load in paper recycling (e.g., improved decontamination, an optimized collection of paper for recycling), even completely terminating the use of a particular chemical (phase-out) might still result in its circulation in the paper cycle for decades. 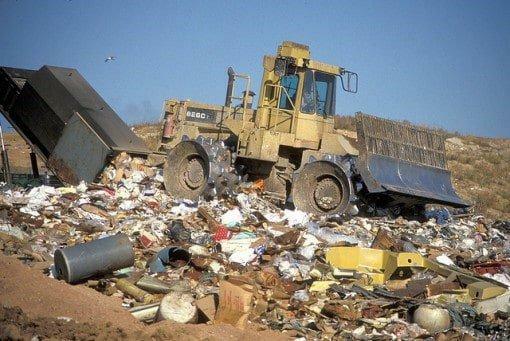 Every day, tonnes of waste is disposed at various landfill sites. This waste comes from homes, office, industries and other agricultural activities. Residences and homes where people live are some of the major sources of solid waste. Garbage from these places includes food wastes, plastics, paper, glass, leather, cardboard, metals, yard wastes, ashes and special wastes like bulky household items like electronics, tires, batteries, old mattresses and used oil. Industries are known to be one of the biggest contributors to solid waste. They include light and heavy manufacturing industries, construction sites, fabrication plants, canning plants, power and chemical plants. These industries produce solid waste in form of housekeeping wastes, food wastes, packaging wastes, ashes, construction and demolition materials, special wastes, medical wastes as well as other hazardous wastes. Commercial facilities and buildings are yet another source of solid waste today. Commercial buildings and facilities, in this case, refer to hotels, markets, restaurants, godowns, stores and office buildings. Solid wastes generated from these places include plastics, food wastes, metals, paper, glass, wood, cardboard materials, special wastes and other hazardous wastes. The institutional centers like schools, colleges, prisons, military barracks and other government centers also produce solid waste. Some of the common solid wastes obtained from these places include glass, rubber waste, plastics, food wastes, wood, paper, metals, cardboard materials, electronics. Crop farms, orchards, dairies, vineyards, and feedlots are also sources of solid wastes. Among the wastes they produce include agricultural wastes, spoiled food, pesticide containers, syringes, bandages, used gloves, drugs, paper, plastics, and chemicals. When hazardous wastes like pesticides, batteries containing lead, mercury or zinc, cleaning solvents, radioactive materials, e-waste, and plastics are mixed up with paper and other scraps are burned they produce dioxins and gasses. These toxic gases have a potential of causing various diseases including cancer. Modern landfills are designed in such a way that the bottom of the landfill is covered with an impervious liner which is usually made of several layers of thick plastic and sand. This liner protects the ground water from being contaminated because of leaching or percolation. When the landfill is full, it is covered with layers of sand, clay, top soil and gravel to prevent seepage of water. Incinerators reduce the volume of waste up to 20 or 30% and are made in such a way that they do not give off extreme amounts of heat when burning solid wastes. This method of solid waste management can be done by individuals, municipalities and even institutions. Recycling or recovery of resources in the process of taking useful but discarded items for next use. Traditionally, these items are processed and cleaned before they are recycled. The process aims at reducing energy loss, consumption of new material and reduction of landfills. Paper Grades – There are five basic paper grade categories. Old Corrugated Containers(boxing and packaging), Mix Paper(phone books, magazines), Old Newspapers, De-inked Paper(Envelops, letterheads) and pulp substitutes(discarded scraps from mills). Paper is taken from the bin and deposited in a large recycling container along with paper from other recycling bins. 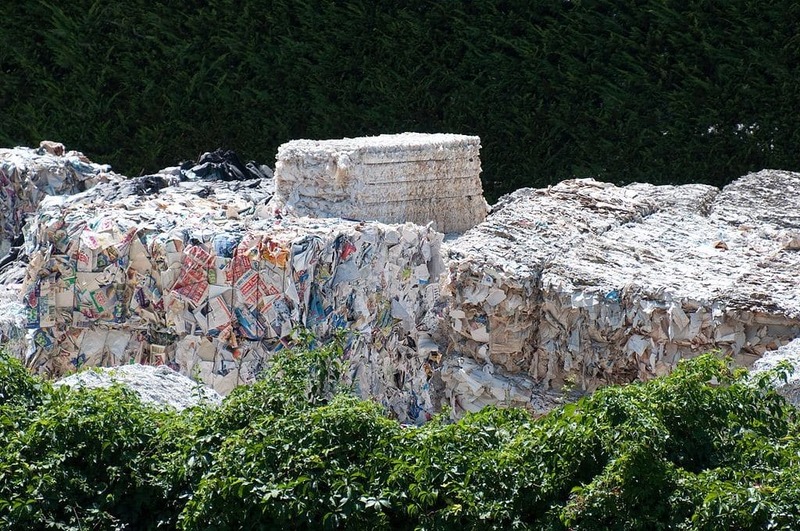 The paper is taken to a recycling plant where it is separated into types and grades. The separated paper is then washed with soapy water to remove inks, plastic film, staples and glue. The paper is put into a large holder where it is mixed with water to create ‘slurry’. By adding different materials to the slurry, different paper products can be created, such as cardboard, newsprints or office paper. The slurry is spread using large rollers into large thin sheets. The paper is left to dry, and then it is rolled up ready to be cut and sent back to the shops. Isabelle (Bella) is our marketing manager here at PG Paper, and manages both our online and traditional marketing activities. Bella is working hard to improve the information PG Paper provide our customers, suppliers and online audience, ensuring this communication is as beneficial as possible to all. Easter; an egg-citing time for the Paper Industry!